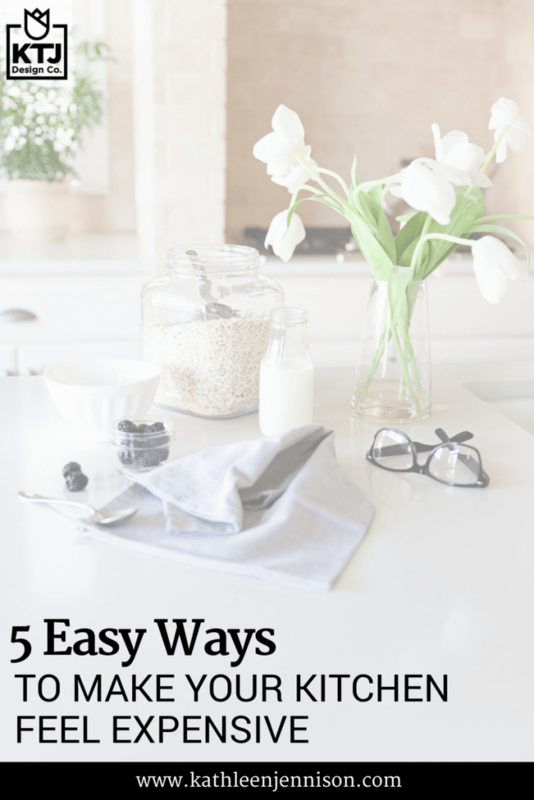 5 Easy Ways to Make Your Kitchen Feel Expensive — KTJ Design Co.
We all know the kitchen is central to your home, but it's also the place where you’ll likely tend to play it safe when it comes to a remodel. 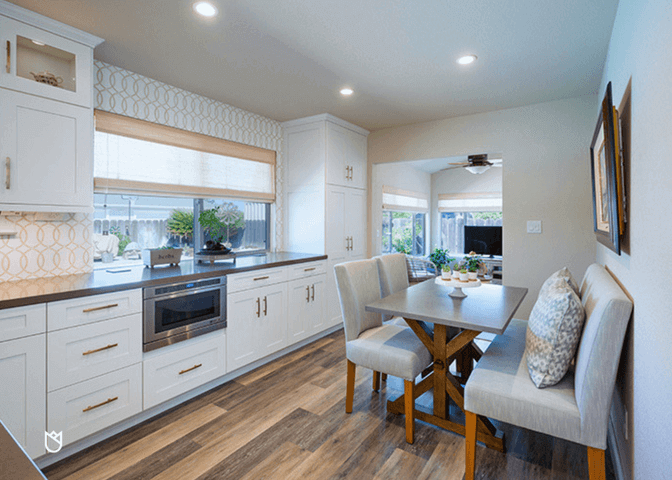 You’re concerned that your choices today might look outdated tomorrow—and I totally get that—but playing it too safe will make your kitchen look “builder grade” and cheap, also not a good thing. When I first walk into a client’s home at an initial consultation, my eyes immediately go to the ceiling. What I most often (and unfortunately) see are short wall cabinets with a little ledge between the top and ceiling. This waste of precious real estate is a pain when you have to climb up to clean that useless ledge. Don’t let your budget contractor or cabinet shop talk you into purchasing 36” upper cabinets (this is how they cut costs to get you hooked). It may cost a few thousand dollars more, but go with 42” upper cabinets (or, all the way to the ceiling if you have tall ceilings). By doing this, you’ll get one more shelf in your cabinets, and you won’t have to dust that annoying ledge. The next place my eyes go after the upper cabinets is the lighting. I always suggest that we replace that big florescent box with some recessed down-lights for good overall lighting. 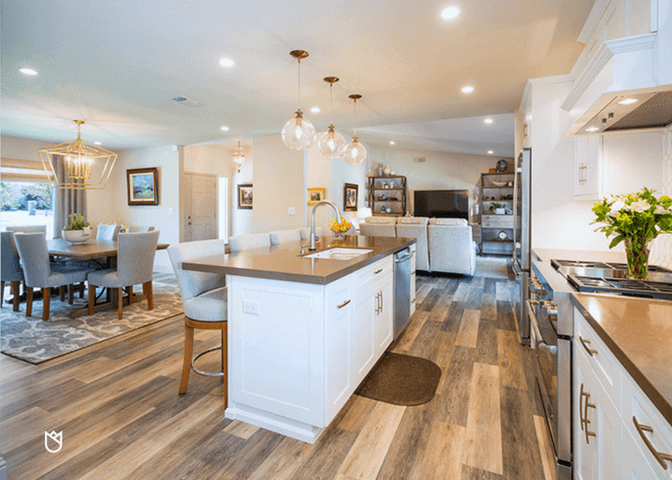 Next, I advise my clients to add stunning light fixtures (large statement pendants or chandeliers) over the island/peninsula, breakfast nook or table and sink. Visit your local lighting store with friendly staff that will help you find just the right lighting package (or call me). Tell them your budget, and they will help you stay within that price range while providing fabulous light fixtures that are unique to you. The backsplash is the best place to splurge, as it’s a small but powerful focal point of your kitchen. There are literally endless possibilities and a tile in every price-point. Find something you love and don’t worry about trends or color; let your personality take over and curate your style with outrageously gorgeous tiles. If you’ve been following my blog for any amount of time, you know what I’m going to say next… put hardware on those cabinet doors, for crying out loud! Most houses built in the 80s boast kitchen cabinets sans hardware, and it drives me crazy. Door handles and drawer pulls are like earrings—they complete the look and deliver major bang for your buck. (You can find nice hardware for around $4 a piece in most home improvement stores.) Not only does hardware make your cabinets look better, it also keeps your cabinets looking fresh, thanks to no more dirty hands all over the cabinet face. I see so many homes with three or more floor materials. This mosh-pit of varying finishes breaks the visual flow and makes it look chopped up and ugly. 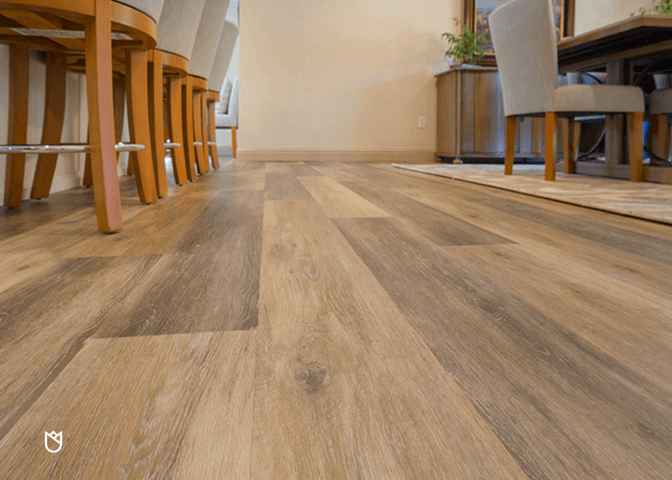 We recommend luxury vinyl planks (LVP) for all open and communal areas of your home. LVP looks fantastic, is durable, looks just like wood but with more water resistance, and won’t kill your budget. Be sure to sign up for my mini design magazine to get more professional tips delivered straight to your inbox. You can expect my VIP tips sent to you twice a month with specials and more– don’t miss out. Sign up here.